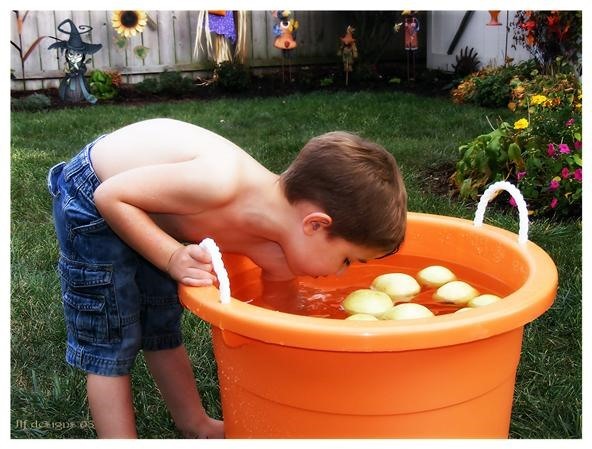 Throw a giant bob for apples challenge in a pool. Tie everyone's arms to their sides and dress them up like mermaids, tails, bikinis and all. Give them a giant scuba flipper. The balls are bull balls, fish guts or dead snakes. After a few runs, unleash a bunch of eels, octopus, etc. Cover the pool with the automatic pool cover.